The above is a long clip from the film not the trailer. If you watch any of the above clip you will know that this is not a great film. It is not a good film. It is not a mediocre film. It is a pretty sad excuse for a movie. There is a little bit of hope in the first third of the picture, but the drama dissipates quickly and there is very little reason to hold on until the end. So you can easily bail out on it then, that is unless you want to see the most laughable special effects in the history of cinema. This movie has an OK set up, a lazy middle and the most ridiculous resolution of science fiction adventure ever invented. Let’s save all that for a short while because there are other things to talk about. I remember where I saw this film and who I was with very clearly, because it was a young teenage boys dream to meet girls at the movies. I saw this with Russ Weiner, who was my debate partner my first year of competition in high school. At Alhambra High in those says, it was a little like the NCAA of the time, freshman were not allowed to compete. A year late they changed the rule but it did apply to me at the time so I did not get involved in Speech Competition until my second year of high school. I was randomly paired with Russ which was fine by me, but it turned out that he had very little interest in Debate. We basically went 3 and 15 in debate rounds that year. He had had enough and one year met the speech requirement we had. He was pretty much done with forensics, but we stayed friends for another year or so. During the summer of 1973, before I went the the U.S.C. Western Forensic Institute, I hung out with Russ at his Dad’s apartment, at the Aquarium shop that he worked at, and we went to some movies. 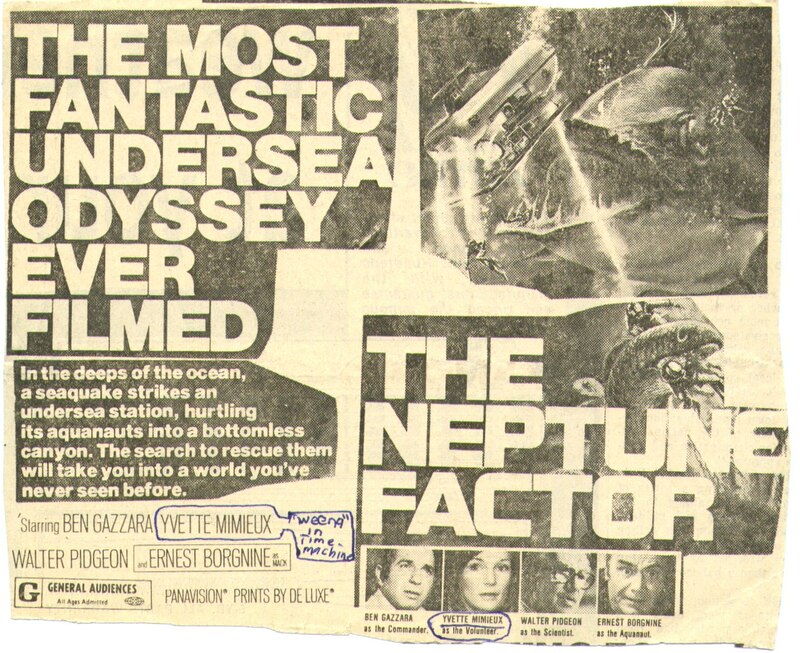 We saw the Neptune Factor as a second feature that was playing with “Battle for the Planet of the Apes”. Almost everything in this movie was new to me because the whole time the movie was on, Russ and I were trying to hit on a couple of girls seated down in front of us. I remember moving down and sitting near them, and then asking if they wanted some of our Jujyfruits (or whatever we had). We kept making small talk and ignoring the movie while it ran on. I was actually a pretty outgoing guy, but my experience with women was very limited. I don’t know that Russ was any more expert but he took the lead and we had an OK time. No phone numbers were exchanged and I don’t remember anything about the girls at all, names, hair color, nothing. I do know that when we said goodbye in the lobby after the show, one girl kissed me on the cheek and said it was nice meeting us. Whoo hoo! Then we went back in and saw the Apes picture. I don’t think I went to a movie again with Russ ever. He was actually friends with Jim Bolton, who was Sheryl Bolton’s brother. Sheryl dated my best friend at the time Don Hayes. Later they were married for about six months. Anyway, Jim was older, about 300 pounds and a mean piece of work. He did things that were hurtful and painful to others. I probably stopped hanging out with Russ because he spent time at Jim’s. Don ran interference for me but I was a little guy next to all of them so I was a target and it made sense to avoid the scene. I have no idea whatever happened to Russ. Now if you thought that story was boring, you clearly have not seen this movie. My brief description of those events is ten times as interesting as anything that happens in this movie. Walter Pidgeon is one of the stars, he was in another film that year called “Harry in Your Pocket”, about pickpockets, that was where all of his acting energy for the year went because he does nothing memorable at all in this movie. He was in pictures back to “How Green Was My Valley”, so he was well aged at that point and he was typecast as playing well aged types. Yvette Mimieux was the female lead. She had a wooden expression that served her well in The Black Hole a few years later. Her character is supposed to be in love with one of the men lost on an underwater research station, but you would be hard pressed to know she ever loved anyone from this performance. 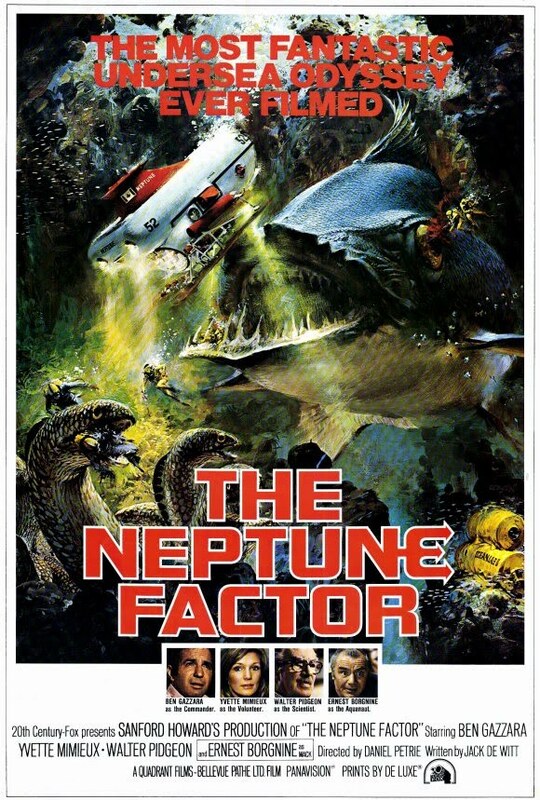 Ben Gazzara, plays the captain of a rescue vehicle named “Neptune”, thus the title of the film. Gazarra plays his whole part with a southern accent and a face of stone. The only actor in this movie with any life in him is Ernest Borgnine. You know what, he made a lot of odd films over the years, some great like “Marty” and “The Wild Bunch”, some not so great like Convoy”,”The Black Hole” and this. Regardless of the movie Borgnine was always a professional, doing his best not just there to get a paycheck. I’m going to finish this post by telling you the climax of the picture. If it keeps you from seeing the movie because I give anything away, you can thank me for saving a couple hours of your life. The team goes down in the rescue sub one last time, because it is unsafe to search for the lab in the trench for too long due to aftershocks of the original quake that caused the lab to fall off the edge in the first place. They are tethered to the surface ship for safety. At the first chance she gets, Mimieux’s character busts them loose and they plunge deeper into the abyss then they had planned. Here is where the special effects show up, they encounter enormous versions of fish and plant life at the floor of the ditch. These consist of blown up shots of fish from someones aquarium. The people in the rescue sub and the stranded researchers are menaced by clown fish, seahorses and catfish. There are shots of the sub in the movie that look like a plastic toy that a kid would play with in the bathtub, and then we cut back to close ups of fish in an aquarium. 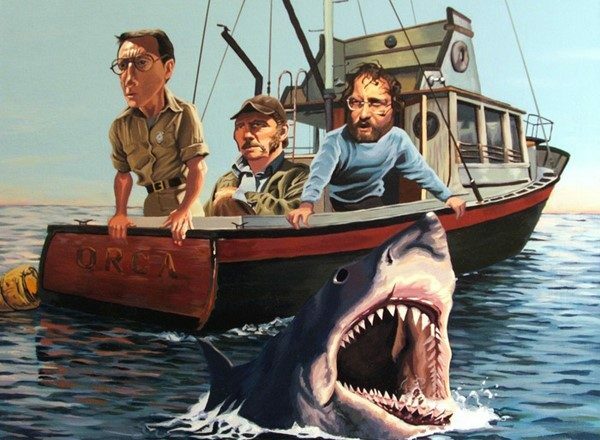 This was less suspenseful then an episode of Jacques Cousteau. It is really hard to believe that anyone thought this would cut it even in 1973. The researchers are able to escape because one of them sacrifices himself by distracting the catfish that are probably there to clean the floor of the tank, and letting himself get eaten. The plastic toy rises to the surface, and then everyone on the main boat heaves a sigh of relief. “THE END”. Look, the director of this was Daniel Petrie, who a couple of years later made “Lifeguard” a nice little picture that I wrote about earlier. Everyone made it out of this picture and continued to work, which just shows how many chances someone can get sometimes.